The China Hand Kung Fu Academy Chi Kung System has exercised for Health & Internal Power. Chi Kung, or Qigong, has been around for thousands of years and predates even the martial arts. There are also thousands of different kinds of Chi Kung, with many different uses and applications. 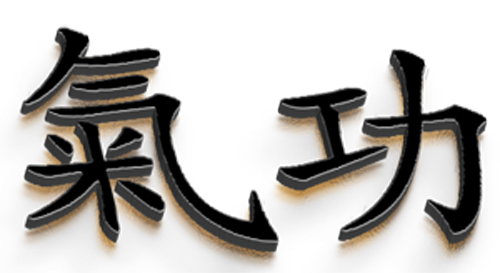 China Hand Kung Fu Academy teaches health oriented Chi Kung and martial oriented Chi Kung. Health oriented Chi Kung has no application or use but to make the body healthy, strong, and vibrant. Martial oriented Chi Kung will have the same effects but the methods of training are also tied directly to Martial Self Defense. If you do an internal style of martial arts, you are doing "Chi Kung." Today, more people are teaching internal styles of Kung Fu, such as Tai Chi Chuan, but emphasize more the Chi Kung health side of the training because of the benefits derived from its' practice. Improves Balance, Arthritis, Osteoprosis, Cardiovascular & Nuerological system..
A single breath is considered one inhale and one exhale. When breathing, your inhale and exhale should be even or the same duration. You should not be inhaling faster then exhaling or vice a versa. When inhaling, you always inhale through the nose; when exhaling, you can exhale through the nose, mouth or a combination of the two. When breathing naturally you should take no more 16 breaths per minute. You will find as you concentrate on your breathing, this number will easily lower to 10 - 12, then to even 6 - 8 breaths. All breathing is performed through the use of the diaphragm. Also, keep the tongue lightly touching the hard palate, or the roof of the mouth, at all times. Never hold your breath unless specifically instructed to do so. Using Abdominal Breathing, breath slow, deep, and steady. 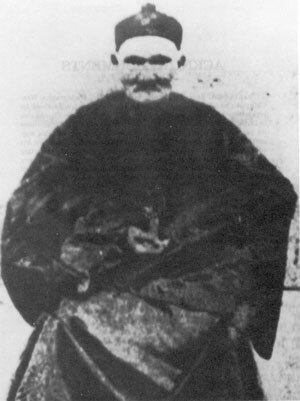 Li Ching-Yuen was born in 1678 A.D. and died in 1928 at the age of 250 years old. Li was a herbalist, and Chi Kung Master and lived in the mountains most of his life. "As copied from The Complete Book of Chinese Health and Healing by Daniel Reid"
Li Ching-Yuen was born in 1678, during the seventeenth year of the Manchu Emperor Kang Shi's Reign. He left home at an early age and traveled around southern China with a group of itinerant herb traders, from whom he learned the basics of herbalism. Subsequently, Li had the good fortune to meet several highly accomplished Taoist masters, who taught him internal alchemy and chi-gung and showed him how to utilize diet and herbal supplements for health and longevity. Master Li was not a celibate. Over the course of his long life he married 14 times, and by the time of his death in 1933, he counted almost 200 living descendants within his extended family. After his death, modern scholars confirmed his identity, traced his life all the way back to the year of his birth, and conclusively verified his lifespan. Master Lee's life demonstrates how well Taoist longevity techniques work when properly practiced. Master Li continued to take long hikes in the mountains until the final years of his life; he remained sexually active for over two centuries, never became senile and died with all of his own teeth and most of his hair. Master Li's Diet, occasional small bits of meat. He was not a strict vegetarian. Limited intake of grains and root vegetables. His daily diet consisted mostly of fruit lightly steamed vegetables. Master Li's Herbal Supplements, Ginseng, Gotu Kola, Polygonum Multiflorum, and Garlic. There was also a recipe for a Spring Tonic concocted by Master Li. 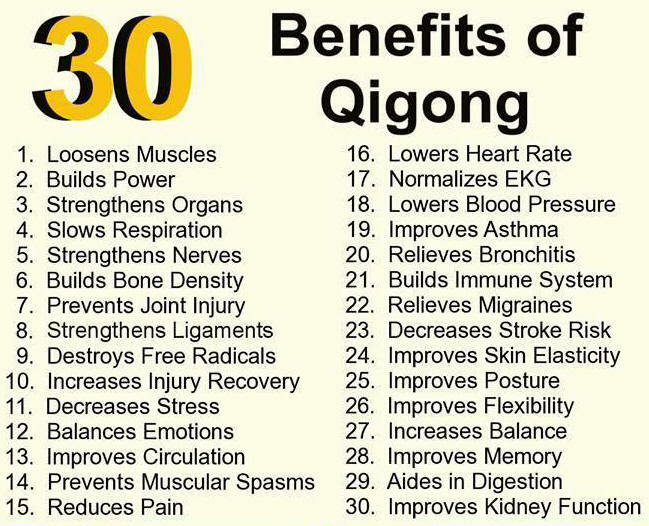 Tai Chi Ch'uan Every Day - For 120 Years As with Qigong, Tai Chi Ch'uan is part of a Chinese system of health and longevity practices based on maximizing the circulation of life energy for improved health and rejuvenation. According to Master Da Liu, who introduced Tai Chi to the United States in the 1950s, it is a "detailed system of slow, flowing, and subtly configured motions." Like the Five Rites, it is a relaxing and toning series of exercises that releases life energy into the mind body, and thus has numerous physiological benefits. In his late 80s, Da Liu was still teaching Tai Chi to American students. Da Liu has a remarkable tale about his teacher, Li Ch'ing Yuen, who was born in 1678 in China. He married fourteen times, had 180 direct descendants spanning eleven generations, and lived to be 256 years old, according to Da Liu. Three years before his death in 1933, a Chinese General met Li Ch'ing Yuen and later described his physical appearance: He has good eyesight and a brisk stride; lie stands seven feet tall, has very long fingernails, and a ruddy complexion. Many of Li's disciples were over 100 years old. What was the secret to his longevity? When he was 130 years old, he encountered a very old man in the mountains. This man claimed to be 500 years old and attributed his longevity to having practiced a set of exercises similar to Tai Chi Ch'uan. Called Ba-Kua, they included specific sounds, breathing instructions, dietary, and herbal recommendations. The mountain hermit taught these to Li Ch'ing Yuen and he taught them to Da Liu. "My longevity," Master Li Ch'ing Yuen said, "is due to the fact that I performed the exercises every day--regularly, correctly, and with sincerity--for 120 years." The best time, he noted, was between 11 p.m. and 11 a.m. when he repeated each exercise two to six times. This is similar to Colonel Bradfords advice to Peter Kelder and his students: practice daily and build to 21 times for each of the Five Rites. This regularity, claimed Bradford, will produce a powerful effect that increases with time. What shall we make of these fabulous tales? It appears that the human body has a great number of energy channels through which life energy moves and changes. Over the years, adepts in this tradition developed exercises that would maximize this energy flow and distribution for greater health, awareness, and vitality in these traditions, whether it's China or Tibet, longevity is a science, not a gift of fate. Both the Chinese exercises and Colonel Bradford's Five Rites have us twisting and turning and stretching. They seem to compress, stimulate, and tone your acupoints, energy gates, and chakras. All of this releases dormant Qi, or prana, or life energy, much like a fountain spraying you with the precious waters of vigor and long life.